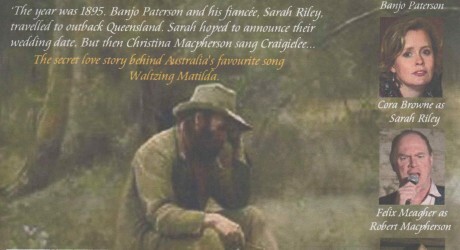 Waltzing Matilda is still Australia’s unofficial national anthem in many people’s minds. The late Dennis O’Keeffe thought that at heart it was a love song and researched the background to its creation by A B ‘Banjo’ Paterson and Christina Macpherson. Now Felix Meagher and company has turned the story into a musical for a new generation. A mixture of song and history set in the Queensland outback it had its world premiere at Mount Rothwell in the You Yangs on Friday night as ‘The Man they called the Banjo’. Crafting a dramatic story out of the sketchy evidence is a difficult task but the production almost makes a virtue out of it as the various phases of the creation the song are uncovered. 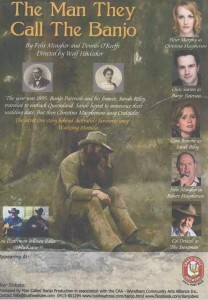 The signature song emerges in stages as the relationships between Patterson and the two women with whom he was involved are played out against the background of the conflict between the squatters and shearers. All the performers have strong voices and personalities and Cora Browne as the jilted Sarah Riley had the biggest impact on the audience with her tantrums as she realised her ‘catch’ was slipping away. Fleur Murphy carries off the difficult balance between muse and respectability as the inspiration for the townie writer of the lyrics and a contributor in her own right. Colin Driscoll’s Swagman makes a strong plea for a factual history of the rural conflict but in the end settles for immortality in song, while Meagher has just enough menace as the squatter brother of Christina and the possibility that he was the man who shot the swaggie. Chris Saxton as Patterson has to present a young man struggling for recognition and escape from the drudgery of his urban employment not the literary icon of popular memory. He brings it off effectively. Direction by Wolf Heidecker is crisp and focused though there are things which no doubt will be tightened in future performances. Music by Ewen Baker and Lou Hesterman warmed up the audience and kept the show lively. Audience participation, particularly in a chorus of the song hit just the right note. Purists might wish that there had been an opportunity to hear the whole of Dennis O’Keeffe’s moving rendition of the original Patterson/Macpherson version of Waltzing Matilda. You can find that on Youtube. Musicians Ewen Baker and Lou Hesterman warming up. Photo: Ailsa Rayner. For urban dwellers getting to Mount Rothwell on a late autumn evening in the gloaming was an adventure in itself but if you can make it tonight, Saturday 18 April at 6.30 pm for a 7.30 pm start, it is well worth the effort. 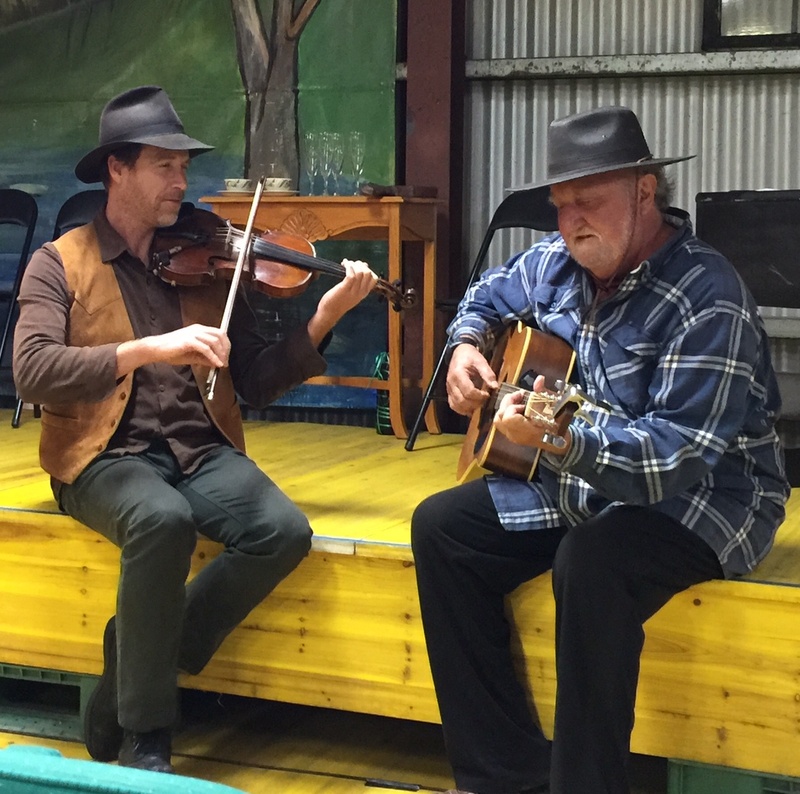 Further performances are coming at Warrawong Woolshed, Eynesbury on 24 April, The Potato Shed in Drysdale on 2 May and Yarrawonga Uniting church on 23 May.